Stone Lab, Ohio Sea Grant’s research and education facility on Lake Erie, has been a home for researchers studying the lake for over a century. Over the years, upgrades and renovations have made sure that the lab keeps up with modern science needs, but of course there’s always more that could be done to make sure Stone Lab continues to be a resource for everyone studying Lake Erie. A recent bill from the Ohio Legislature will help the lab do just that. Senate Bill 299, the Clean Lake 2020 Plan, was sponsored by state Senators Randy Gardner and Sean O’Brien, and allocates up to $36 million in funding to water quality programs that help protect Lake Erie. Ohio Sea Grant and Stone Lab received $2.65 million of that funding, which will cover a new building and equipment for the Lake Erie laboratory, as well as monitoring equipment that will be placed in the Maumee River this spring. Clean Lake 2020’s goal is to offer potential solutions to the lake’s harmful algal bloom (HABs) problem and related issues. The blooms can produce toxins that lead to drinking water advisories, and an overgrowth of algae can lead to unsightly scums near the shore that can negatively affect tourism in the area. The new building will be located on South Bass Island’s Peach Point, just north of downtown Put-in-Bay. 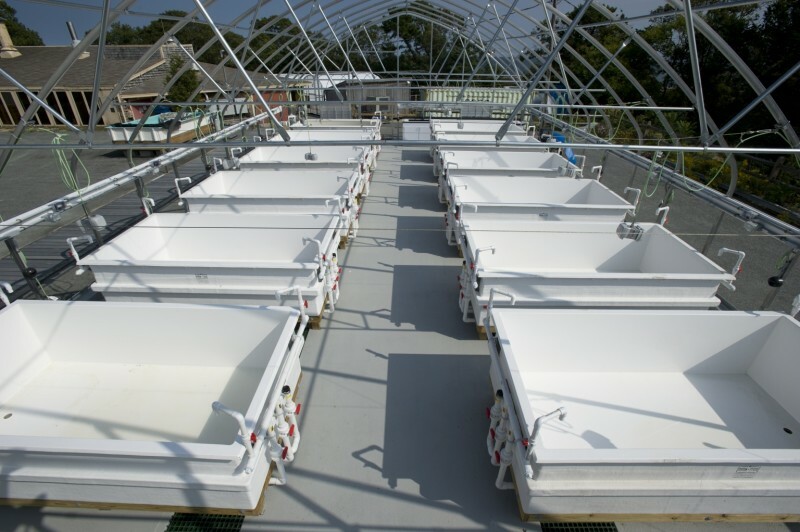 About 2,000 square feet of space will be split between a lab expansion that adds space for research and teaching and a set of outdoor flow-through tanks – also called mesocosms – that was specifically requested by Ohio researchers. Construction on the expansion and mesocosms will likely begin in 2020. The Maumee River monitoring equipment was selected in collaboration with Dr. Laura Johnson at Heidelberg University’s National Center for Water Quality Research and Dr. Tom Bridgeman at The University of Toledo’s Lake Erie Center. The sensors will be placed in the spring to collect nutrient data and other information about runoff into Lake Erie. That data, in turn, will help inform NOAA’s annual harmful algal bloom forecast for the western basin, as well as other projects monitoring the health of the lake. The Clean Lake 2020 Plan also provides funding for county soil and water conservation districts to hire staff who will work directly with farmers on adopting best management practices that reduce nutrient runoff into Lake Erie. That runoff contributes to harmful algal blooms, and state legislators and agencies have set a goal to reduce nutrient runoff by 40 percent by 2025. And with the planned updates, as well as continued research funding from programs such as the Ohio Department of Higher Education’s Harmful Algal Bloom Research Initiative (HABRI), Ohio Sea Grant and Stone Lab will continue to be leaders in this effort.